I've recently discovered my new favourite genre. Books… about books. My most recent find is the one that made me realize how very much I love reading this type of story. In Robin Wasserman's The Book of Blood and Shadow, the Voynich Manuscript is the Book, but a group of old letters are the main character. Wasserman's book has it all—intrigue, academia, mystery, romance, and murder most foul. And to top it off, this one is written for teens, so you know it moves along at a good pace. Plenty of books for adults feature books, too. A Discovery of Witches by Deborah Harkness had me at so many levels – not only does it feature an antique and mysterious book, it also has a vampire in it. And so does The Historian by Elizabeth Kostova. Bram Stoker's Dracula plays an important role in this book. For those of you who like your books a bit dark and slightly racy, there's Karen Marie Moning's "Fever" which starts with Darkfever. A very evil (and elusive) book is at the center if this addictive series (and there are vampires and bad faeries, too). Books are the focus of so many books, and often bookstores are the setting. The 'Fever' series features a lovely bookstore in Dublin; Diane Setterfield's The Thirteenth Tale starts off in a bookstore (no vampires). Books make the best gifts, as Jane Johnson's The Tenth Gift shows us. And if you've ever wanted to live inside a book, ask Thursday Next what it is like. Jasper Fforde has written a wonderful set of books featuring Miss Next, a feisty literary detective who must fix the plot in The Eyre Affair, Lost in a Good Book, The Well of Lost Plots, and others. There are several ' Book' books written for younger readers (but note: just because they were written for younger readers doesn't mean adults can't enjoy them as well). In The Emerald Atlas by John Stephens, a magical book is at the centre of the adventure. Even Harry Potter gets in on the action in Harry Potter and the Chamber of Secrets, when Ginny is possessed by a book, and in Harry Potter and the Half-Blood Prince, one of Harry's schoolbooks leads him astray. Matthew Skelton's Endymion Spring is set in Oxford, where an enchanted book bites the main character and starts a whole string of mysterious happenings. In Marcus Zusak's brilliant novel, The Book Thief, books play a huge role in the life of one Liesl Meminger, who is fostered in the German countryside during WWII. Cornelia Funke has written a (pardon the pun) spellbinding trilogy that features a bookbinder with a magical ability. The trilogy starts with Inkheart, which also happens to be the title of a long-sought book. I'm sure there are many more that I have yet to read, such as The Rule of Four by Ian Caldwell, The Club Dumas by Arturo Pérez-Reverte and The Shadow of the Wind by Carlos Ruiz Zafón. Those are on my to-read list. Do you have some favourite books about books? Share the titles here! The Community Access Program (CAP) has been in our communities since 1995. It provides access to the Internet and technology, as well as training. Yes, there are more and more computers in our homes and mobile devices mean some people are connected wherever they go. The question I have for you is what if you are new to computers, where do you go to learn how to use them? Sure, you can take a Microsoft Word course in a variety of places, but what if you aren't comfortable enough with computers to do that? Maybe you are comfortable with what you use now, but what if you wish to begin using a new piece of technology? CAP sites have been providing this "comfort level" kind of training for years. CAP sites have even more to offer, they also offer more advanced training workshops. All of our branch libraries are CAP sites. The computers are a very busy service of these sites. Those using these computers aren't just those without Internet at home. Those travelling use this service, some using the wireless Internet connection that is available to them 24/7. We are seeing more users that have Internet at home, but there is only one computer, so they come to CAP sites for more access. There has been a substantial increase in the number of one-on-one training sessions booked this year; the demand for these isn't going away. Well, the demand isn't going away, but the Community Access Program as we have known it is. The Federal Government announced on April 5th that it will discontinue funding the program, effective immediately. Sites may continue to operate for a while, but eventually you will see the effects of this decision. Sites within libraries will be slower to replace equipment and it will be more difficult to provide the workshops and training that are needed. You can help, but don't wait. Contact your MPs and your MLAs to let them know the importance of the program. Visit the website www.savecap.ca for more information. And if you still aren't convinced, hear from a user of the program what CAP means on this short video. If you are reading this blog you are fortunate to be able to navigate the Internet. Not everyone can do this, yet. One enviable thing that teens today have that my generation didn't really have is access to authors. Many of today's popular authors have a huge fan base—and that is because it is really easy for authors to connect with fans, however vicariously, via Twitter and Facebook and YouTube and all those other fancy Interwebs kind of ways. As a reader, you can virtually peek into their lives, be their friends, and get a sense of who they are – or, at least, who they want you to think they are. They are creators of fictions, after all. But these authors aren't just letting us peek into their lives, they are also meanwhile writing great books that win awards and sell lots of copies. With this huge fan base and intense fandom, books sell better. So it works out well for these authors to create this persona and let us in on their coolness. So, who are these authors, and why should you care? Take Libba Bray, for instance. Her book, Going Bovine, won the Printz Award in 2010, and her latest book, Beauty Queens, was one of the best audios I've ever heard. You can find her online at her website, be her friend on Facebook, and follow her on Twitter @libbabray. I had the fortune to meet Libba Bray at a library conference a few years back, and unless she is a really amazing actress, she truly is as cool and friendly as she seems online. And then there's Maureen Johnson, whose recent book, The Name of the Star, fittingly has plenty of fans. It is all about a modern-day Jack the Ripper and some ghosts in London, and you won't be able to put it down once you start reading it. She tweets an amazing amount (I don’t know how she writes these great books in between those tweets) and you can follow her @maureenjohnson. Of course I cannot leave out John Green here, even though I wrote about him in a previous post, because he and his brother Hank could be credited with making this online presence a necessity for YA authors, due to their Vlog Brothers project. Following John Green allows a peek into his heartfelt novels, like his recent The Fault in our Stars. And by the way, I don't really think Maureen Johnson or John Green are pretending to be anyone other than themselves, either. There are tons of other authors out there that you can interact with and follow and watch, such as Neil Gaiman, who Tweets @neilhimself (you and 1,699,415 other people); Arthur Slade, who is a ton of fun to read on Facebook; Daniel Kraus, who just won the Odyssey for his amazingly creepy book, Rotters; Sarah Dessen, Holly Black, Lauren Myracle, Maggie Stifevater, Lesley Livingston, Christy Ann Conlin, and many, many more authors are out there, giving us tiny glimpses into their thoughts, daily lives, what they are working on, and even what kind of cupcakes they like best. For readers and for those who want to be writers, these little glimpses are simple little thrills that deepen our literary experience in a way that previous generations were rarely privy to. The other thing authors do a lot these days is tours. We have our very own Canadian YA Author event scheduled for May 24 at the Wolfville Library, where you can meet the brilliant Carrie Mac. See you there! No? Please don’t stop reading! If this doesn’t interest you, I’d like you to tell someone else about it. 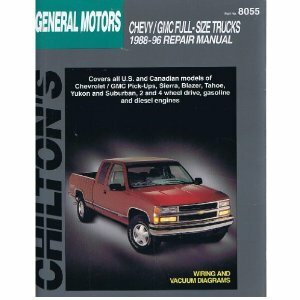 Chilton has been helping people fix cars for decades , pretty much setting the standard for do-it-yourself car repair. Years ago, when you left your car at the shop, you’d often see these really thick and heavy volumes laying around on a shelf or a bench. The black fingerprints indicated they were referred to regularly. These books were published specifically for the make of car and year, both for North American models and imports. Their graphics and step-by-step guides make for accurate and effective diagnostics and repair procedures. Because there was public demand for these publications, our library did its best to stock current print volumes (not cheap!). Well, like most things these days, Chilton has produced an online database, to which our library subscribes. You only need a library card to use it for free! There’s a link on the left-hand side of our web page (or go to Search Databases at the top right). Chilton is SO easy to use. You type in the year, the make, and the model , and go from there. They provide easy print screens that include the graphic shots which can be enlarged to suit your needs. It also keeps an up-to-date list of any recalls or bulletins. So, if you’re not into DIY, or you own a car that never needs repairs, please tell someone else (who doesn’t have a car like yours) about this very useful online tool. It might be someone who thinks the library has nothing for them. If the person says they don’t have a library card, please tell them that’s free too! Libraries are great! 4H is great too, so you can imagine how excited I was last year when I figured out a way to marry 2 passions of mine. While 4H teaches kids lots of great skills that they will use throughout their lives, such as woodworking, photography, and cooking, it also has a public service component. The 4H motto, “Learn to do by doing”, stretches throughout the organization’s practices. However, as any parent knows, finding the time to do volunteer work can be quite difficult and can be a lot of extra stress for all involved. I wanted to come up with an idea for community service that was fun. Ideally it would help the kids develop and build on the skills they already have. 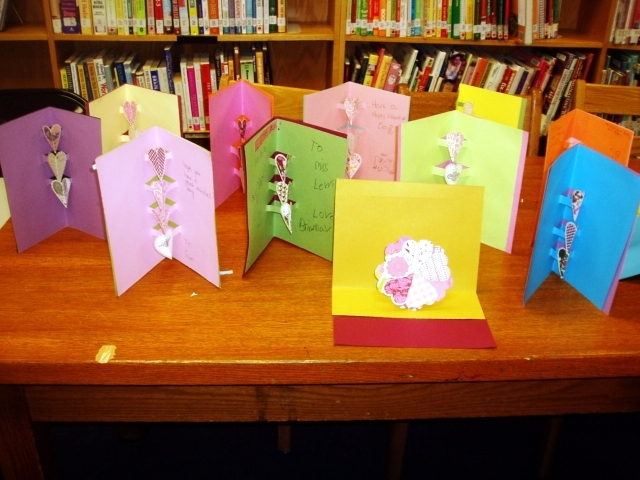 Then it came to me - our club could sponsor a craft program at the library! I would volunteer my time as 4H leader and the club would assist me by providing the supplies I needed. Better still, since I’m the craft leader, I would make the craft nights at the library our actual craft meetings. That way I could be sure I would have kids attending, and I knew the kids from my club would end up helping the other kids with their crafts. I was so excited! I chose Friday nights for the program because I figured parents would prefer not to do it on a school night and because after-school is already so full of activities. I also told the members of the club that they didn’t have to be enrolled in the 4H crafts project to attend the craft nights. Many of the kids in the club like to come even though they are doing different projects in 4H, and that’s fine with me because everyone shows up excited by what we are going to do on the program nights. The 4H kids are learning to help their neighbours at the same time as they are learning how to complete their own project. The first night I was really nervous; I didn’t know if anyone would come, if I had chosen an interesting craft, or if it would work out. 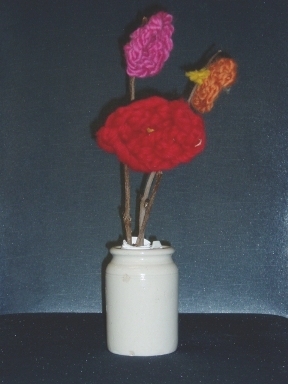 We were going to fingerknit flowers. My daughter was the only other person in the room who knew how to fingerknit. It was a good thing she did: there were over 10 kids there and I was demonstrating how to fingerknit and making sure everyone got at least one flower made. I was thrilled that they were enjoying learning how to do something so simple and basic. Two weeks later we had another program, and a friend came to help me with the kids. It was a good thing she did because there were even more kids this time. A few kids were having trouble with the basic idea but with a little hands-on attention everyone was a pro by the end of the evening. Since then we’ve had many programs and have tried out a lot of different skills: recently I showed them how to make pompoms; we’ve also made pop-up cards for valentines, sewn felt mice and cats (I think felt is the perfect medium for kids to earn to sew on) and even made earrings. There is nothing better than seeing a bunch of young girls using pliers to make jewelry. Mostly I want the kids to learn that they can make things that they’d like to have, and that they can learn how to do these things at the library either at a program or from one of our many books. I try to have displays at the meetings to they can see books that have similar projects and ideas in them in case they want to borrow them. Overall the program, Hooked: Needles and Pins has been a great success both for the library and the club. Sun Valley Riders 4H is fulfilling its community service obligations, and I am pleased that kids are learning skills that they can use for the rest of their lives. Best of all, we’re all having a great time.